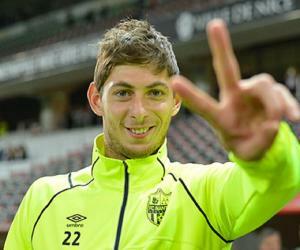 Emiliano Sala was a professional footballer from Argentina. Check out this biography to know about his birthday, childhood, family life, achievements and fun facts about him. Emiliano Sala was a professional footballer from Argentina. Interested in football from a tender age, Sala joined San Martin de Progreso as a young player before being noticed by a scout. He was soon inducted into Proyecto Crecer as a youth player. However, he wasn’t an active player in his debut season and decided to switch to Bordeaux in hope of better field time. He was loaned several times under Bordeaux and scored many award-winning goals, becoming one of the top scorers of the club. He joined Nantes, a French football club, in 2015 with a five-year contract. 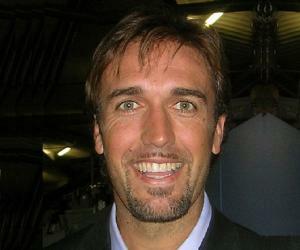 He flourished during his time at Nantes and remained the club’s highest scorer for all seasons. 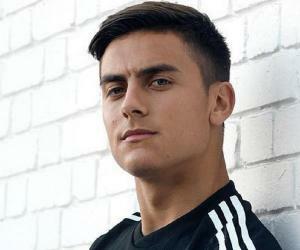 With an intention to enter the Premier League, he signed up with Cardiff City in the 2019-20 season with a record contract fee. Before he could make his first appearance against Arsenal in January, Sala became a victim of an aircraft crash. He had been missing since January 21, 2019 and was presumed to be dead since the searchers could not find any trace of him for weeks. His body was eventually recovered from the wreckage. A shrine in his name has been erected outside the Cardiff stadium in recognition of his talent. 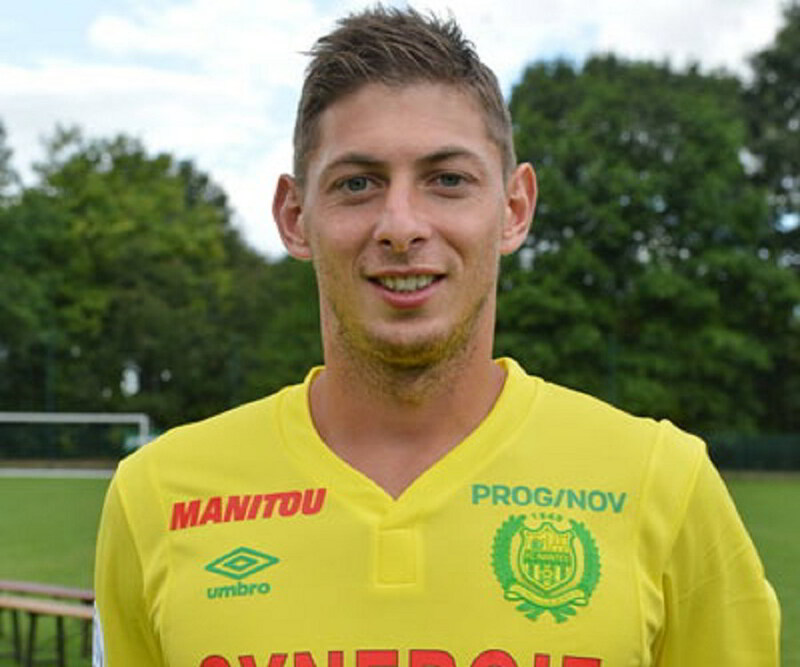 Emiliano Raúl Sala Taffarel was born on October 31, 1990 in Cululú, Santa Fe, Argentina, to Mercedes Taffarel and Horacio Sala. The family moved from Santa Fe to Progreso within a few years. Sala had two siblings: Dario and Romina. He was interested in football since a young age and was particularly biased towards Independiente. He was a huge fan of Gabriel Batistuta, the Argentine footballer, and often watched his footage to understand how he played. He started playing for the team San Martin de Progreso as a young boy and remained with this team until he turned 15. After being spotted by a scout, Sala moved to San Francisco to play at the football school Proyecto Crecer. This served as his foundation in learning how football clubs worked at an international level. His club, Proyecto Crecer, was affiliated with RCD Mallorca, a Spanish club, and FC Girondins de Bordeaux, a French football club. Sala subsequently moved in with the other players and started playing for the team. Emiliano Sala’s luck turned in his favor when he was recommended to FC Crato, a Portuguese club. He joined the Portuguese team in 2009 and even played a match for the team, where he scored two goals. However, he decided to leave the club and return home due to personal reasons. He returned to playing in the 2010-11 season after signing up with Bordeaux. He moved to France to begin his journey with the team. However, he wasn’t given enough playing time during the season. He made his Bordeaux debut only in the 2011-12 season when he came in as a substitute for Jussie. Despite this, he did not make a name for himself and Bordeaux wanted to loan him to other teams. He faced several rejections before he finally joined US Orleans for Championnat National on manager Oliver Frapolli’s insistence. With Frapolli’s encouragement, Sala performed well and scored 19 goals for the team in 37 matches. His team stood eighth in the league tables. He was loaned to the Chamois Niortais for the 2013-14 season. He performed well for the new team and scored eleven goals in his final 12 matches. He also scored his first hat-trick in his match against Stade Lavallois. At the end of the season, he had 20 goals to his name with 18 league goals, a new record for his club. He made it to the first team squad in the 2014-15 season with Bordeaux and was given a contract extension of two years. However, he fared poorly and scored his lone goal through a penalty. Subsequently, he was loaned to SM Caen as replacement for Mathieu Duhamel during the second half of the season. Under Caen, he made his debut in February 2015 and scored five goals during this time. He eventually was asked to return to Bordeaux in recognition of his good performance. In 2015, he joined Nantes, a Ligue 1 club, and was given a 5-year contract. He made his debut on the opening day of the new season and scored against Guingamp in his first match. Towards the end of the season, he emerged as the club’s top scorer with six goals. He continued his contract with Nantes despite receiving an offer of £3 million from the English club Wolverhampton Wanderers in 2016. In his second season for Nantes, he ended up scoring 12 goals and was among the highest scorers for the club. He remained the top scorer in the third season as well. In his fourth year, during the 2018-19 season, he entered into an argument with Miguel Cardoso, the club’s new manager. His position was changed, and his appearances reduced. 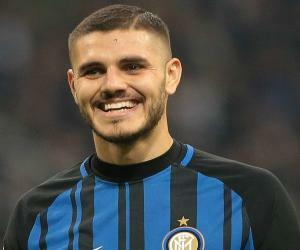 He scored twice as a substitute before the club’s manager was replaced in October 2018. Vahid Halilhodzic became the club’s new manager, and he preferred Sala to play in his original position. Sala thrived and scored a hat-trick against Toulouse. 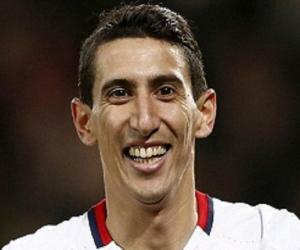 He was voted Ligue 1 Player of the Month in October for his four goals in three matches that month. By early December, Sala was the highest scorer in Ligue 1 along with Kylian Mbappe. He subsequently added another goal to his tally during his match against Marseille. In January 2019, Sala signed up with Cardiff City, a Premier League club, under a three and a half-year contract for £15 million. Sala refused a higher bid from Chinese Super League as he wanted to make his Premier League debut. Emiliano Sala was scheduled to travel to Cardiff on 21 January 2019 to begin his training sessions. He was at his previous home at Nantes to collect his personal items and spend time with his teammates and friends before he moved to Cardiff. He was due to play in Cardiff’s first match against Arsenal. A report on January 22 stated that the aircraft carrying Sala was missing and was last located at Alderney. It was confirmed later in the day that the pilot David Ibbotson as well as Sala were missing. A search was immediately launched by Channel Islands Air Search, but results were negative. It was officially announced on 24 January 2019 that the search was called off. Despite an intense 80-hour-search with planes, helicopters, and lifeboats, the Guernsey Police stated they couldn’t find the plane or its occupants. Many expressed their desire for the search to continue, including the Argentine President Mauricio Macri and other footballers, such as Diego Maradona, Lionel Messi, Gonzalo Higuaín, and Sergio Agüero. An online petition requesting a private search raised over £320,000 for Sports Cover, Sala’s agency. The search finally resumed on 26 January with two boats spearheaded by the marine scientist David Mearns. It was revealed that the search committee had found two seat cushions from the aircraft washed up on a French seashore. In Sala’s honor, Cardiff City included Sala’s name on the team sheet against their match with Arsenal. All players of the team sported his name along with a daffodil instead of their numbers. Another search was undertaken on 3 February by the Air Accidents Investigation Branch. The search was scheduled to last three days, and the wreckage of the plane was found in the English Channel by the night. On 7 February 2019, it was reported that a body had been recovered from the wreckage. It was formally identified as that of Sala. Emiliano Sala was previously in a relationship with Bernice Schkair, a Victoria’s Secret model. However, the duo had broken up before he moved to Cardiff City. Bernice had been actively talking to the media in the hope of finding Sala and had dedicated her social media posts to encourage people to pray for his return. Sala had been missing since January 21, 2019 after a plane crash. On 7 February, it was reported that a body recovered from the wreckage has been identified as that of Sala.